The year 2017 saw a host of new challenges for global organizations, and continued economic and political volatility heightened by competing leadership styles on the world stage. What should organizational decision-makers expect in 2018? 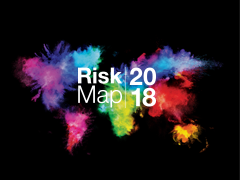 RiskMap, an annual forecast for political and security risk around the world.